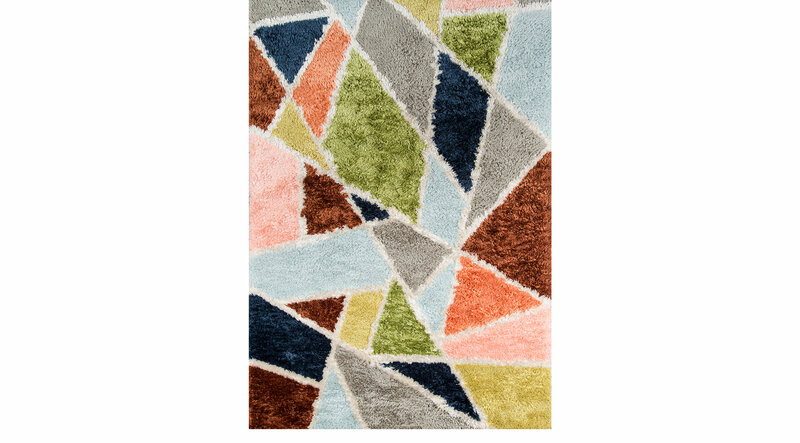 Inspired by the 1970s Scandinavian designs, the Dozier rug brings a traditional look back to life. Featuring a Novogratz design that displays geometrical patterns in solid colors. Hand-tufted with 100% polyester. Professional cleaning recommended.